The idea to create an off-street system of railroad transportation in the northern capital of the Russian Empire goes back to the 19th century. As far back as 1820, an engineer by the name of Torgovanov appealed to Alexander I via Count M.A. Miloradovich with a proposal to set up a tunnel under the Neva. The monarch wrote on the petition: “Issue two hundred rubles from our funds to Torgovanov and make him sign an obligation not to come up with such projects any more, but instead to stick to his own field of work!" A famous self-taught inventor, I.P. Kulibin, also made similar requests, however also in vain. Several projects for St Petersburg, designed by the French born English engineer, Sir Marc Isambard Brunel, who is considered the father of tunnel construction, were also not implemented due to a number of reasons. 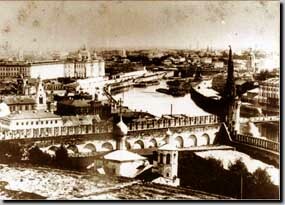 Nikolaevskiy (Blagoveschenskiy) Bridge, completed in 1855, somewhat eased the problem of connecting the two banks of the Neva and bringing passengers and cargo from the city center to Vasilyevskiy Island. However the problem resurfaced again very soon. 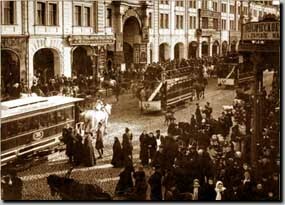 At the turn of the century St. Petersburg turned into a fast-growing industrial city where the historic centre of the city boomed with business. The city became overcrowded, and the traffic on the old streets and avenues became so intense that the city authorities started considering new non-traditional ways of solving the transport problem. In 1889 the Board of the Baltic Railway introduced the first intercity railway project between the Baltiyskiy and Finlyandskiy Railway Stations. This project was the beginning of numerous different proposals and projects, in a way, the forerunners of the future St. Petersburg Metro. 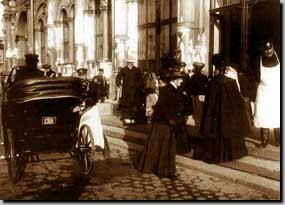 From the early 1890s onwards, proposals by various organizations and private individuals were submitted almost annually. In most of the initial projects, the city train system was to connect all of the city’s railway stations and lessen the burden of traffic on Nevskiy Prospekt, the main thoroughfare of the Russian capital. It should be noted that the projects of that time were aimed not so much at connecting the centre with remote city areas in the south or the Novaya Derevnya region, but instead to simply reduce the load of city traffic. 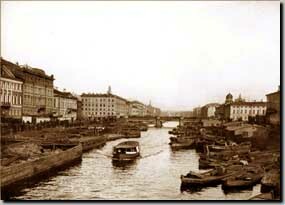 Almost all pre-revolutionary projects included the construction of elevated train tracks, an approach that had been used in many cities worldwide, with extensive use of lines that would run along the St. Petersburg canals: Obvodniy, Ekaterninskiy (now Griboedova Canal), Vvedenskiy, as well as others. In 1900 I.V.Romanov tested a section of suspended monorail near Gatchina. These tests went well. 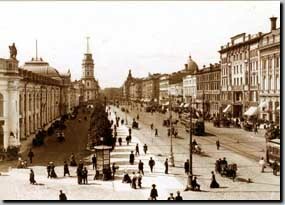 Later on Romanov founded a project to create a ring road around St. Petersburg. 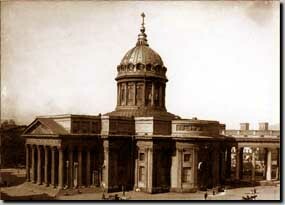 In 1901 an engineer by the name of Pechkovskiy suggested building a suburban train station in the middle of Nevskiy Prospekt, near the Kazan Cathedral, and join it to the Baltiyskiy and Varshavskiy Train Stations, using routes under Zabalkanskiy Prospekt and over the Ekaterininskiy and Obvodny Canals. In the same year another engineer, Reshevsky, who was working under commission of the Ministry of Railways, developed two variants of a project that sought to combine all St. Petersburg railway stations into one single hub. Interesting ideas, that took several years of thorough work to develop, were presented by one of the first theorists of Russian Metro train construction, railway engineer P.I. Balinskiy. He planned to build six long city lines, including two ring lines with a total length of 95.5 “versts” (172 km). According to his project, construction work (including earthwork to prevent tracks from being flooded, the construction of 11 large bridges, the set up of railway embankments and elevated tracks standing 5-10 meters tall, and the laying of railway tracks, etc.) would cost 190 million rubles. S.Y. Vitte, who had studied Balinskiy’s projects and approved his cost estimates. Almost simultaneously with Balinskiy’s 1902 project, another engineer by the name of G.A.Hirschsohn presented his own project. He continued working on it for another seven years. 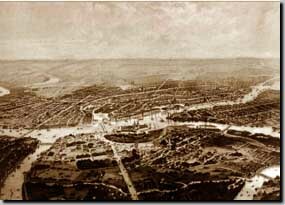 This project proposed merging the Baltiyskaya and Varshavskaya railways together, which would then continue as a single railroad along the Fontanka embankment, the Ekaterininskiy Canal, the Lebyazhya Kanavka, across the Neva, then along Kamennoostrovskiy Prospekt, and across the Bolshaya Nevka to the Finlandskiy Railway Station. The underground section, according to this project, was to be laid under Nevskiy Prospekt, from the Moscovskiy Railway Station to the Palace Square. Other engineers had at various points proposed their ideas for the metropolitan railroad, including N.O. Kulzhinsky (1902), A.N. Gorchakov (1909), F.E. Enakiev (1912), G.O. Graftio (June 1917), and the Office of City Railroads (1917). However, as these opposing interests were being discussed in various establishments, different factions cited extensive financial expenses. These factors proved to be unsurmountable obstacles to the implementation of the ideas for the St. Petersburg Metro system. The idea only resurfaced again in the 1930s, in a very different historical era. The first projects of the Metro system in Moscow faced the same fate. 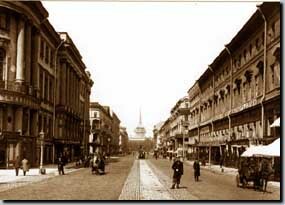 In 1902, Balinsky, whose proposals had found no support in St. Petersburg, presented the same idea to Moscow city authorities. Considering the traditional ring-and-radius structure of Moscow streets, and the fact that there were nine railroad lines approaching the city, he decided that there would be just one transfer station - the Central Railway Station near Red Square. He suggested extending the railway track to the Central Railway Station along elevated tracks above Tverskaya Ulitsa and Zamoskvorechye, as well as creating a complex circuit over the Sadovoe Koltso and Bulvarnoe Koltso ring roads. By the end of the year, in cooperation with E.K.Knorre, who built the largest bridges of the Trans-Siberian Railroad, he also added major off-street routes to his scheme. There were plans to build 28 km of elevated tracks and 11 km of underground tracks. The network’s total length was to be 105 km. Almost at the same time as Balinskiy, the engineers Antonovich, Galinevich and Dmitriev presented their conceptual programs of a Metro train system to the City Duma. 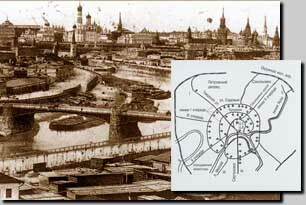 They envisioned a radial ring system, an off-street railroad that would run along the historical network of streets. The project consisted of a 36-km long ring laid between Sadovoe Koltso and the surrounding Railway, and four lines: Tverskoy, Pocherovskiy, Zamoskvoretskiy and Arbatskiy). 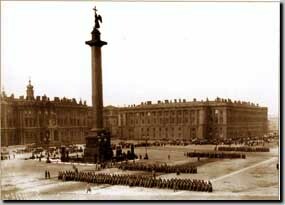 The Arbatskiy line was supposed to be under ground, and all the other lines were to be built on elevated structures. Subsequently, other projects were submitted, including some projects by foreign entrepreneurs, an American, Hoff, among them. 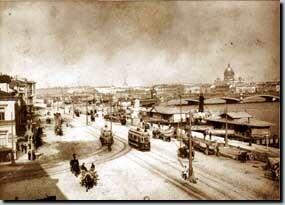 In 1911 the Moscow City Hall presented its concept of a purely urban Metro system, and in 1912 hired Knorre to improve it. This project proposed setting up three first-stage diameter lines and, in the future, a line around the Sadovoe Koltso. However, just like in St. Petersburg, financial and technical difficulties prevented this project from being implemented.